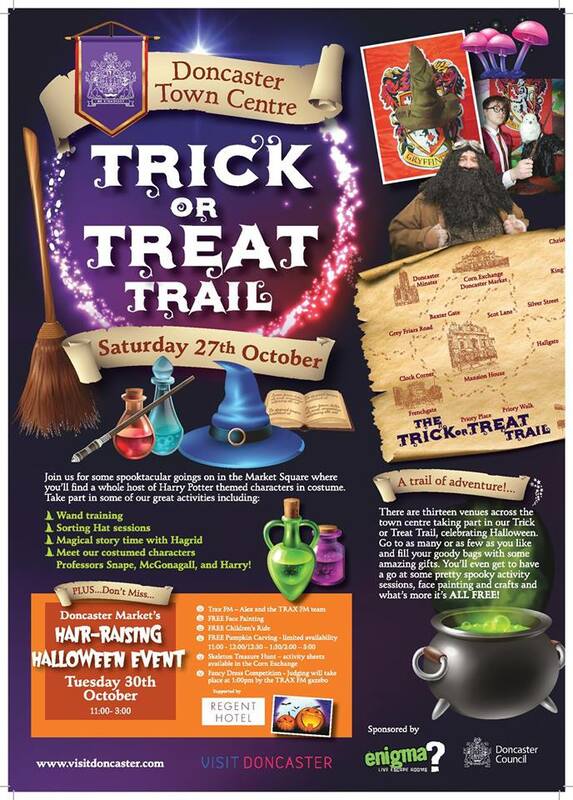 Dress up and come in to Doncaster town centre on Saturday 27th October for some spooktacular family fun! Take in the Harry Potter themed event in the Market Square and let The Sorting Hat tell you your fate! You can even try out your skills at Wand classes, plus meet characters from the films including Hagrid, Professor Snape and Harry himself! Here are the THIRTEEN spooktacular venues for the Trick or Treat Trail. 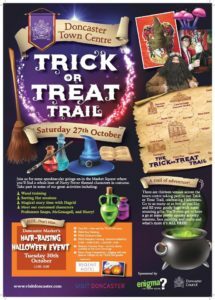 I’m looking forward to doing the trail with my mini mumblers and we’ll be at The Cirque Foundation on Silver Street, so be sure to come by and trick or treat us! We’ll have lots of Mumbler fun going on there including face painting, craft activities and more. Join us between 10am and 2pm and The Creation Station will be there making lovely spider hats! Every venue will have their own activities and treats throughout the day on Saturday. All you need to do is dress up and join in! There’s no start or finish and you can visit as may or as few as you like.